Over the years I've pined for many of the classic synths that, for various reasons (but usually poverty or temporary insanity), I've parted with. Top of my 'most missed' list is the Oberheim Two Voice (TVS1), a truly beautiful instrument consisting of two SEMs (Synthesizer Expander Modules), an eight-step sequencer and an oddly scanned digital keyboard. Less in-your-face than a Moog or an ARP, the SEM's tones were subtle, slightly fuzzy and always creamy — qualities hard to nail in a few words and surely no pushover to mimic in software. Unintimidated, Arturia did just that last year with the SEM V, and now it's the iPad's turn to try and deliver those elusive but magical tones — assuming you have at least an iPad 2 running iOS 6.0 or later. An Oberheim SEM is a complete dual-VCO synthesizer module with oscillator sync, iSEM's panel looks familiar, but it isn't the ultimate iPad finger experience. pulse-width modulation and a two-pole multi-mode filter. The SEM was multiplied to create Oberheim's very distinctive take on polyphony; unlike other polysynths, each voice had a complete set of controls. You can imagine how this made the eight-voice model a serious proposition to program. 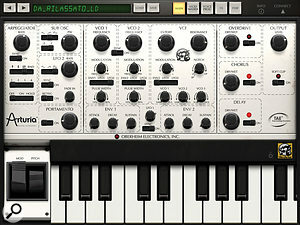 To ease the pain of the former, Oberheim produced a programmer module and Arturia's take on this earns iSEM my first thumbs up of the day. Via the 'Voice Prog' page you can specify offsets for up to six parameters for every voice, with up to eight voices and a choice of allocation algorithms supported. Although lacking the specific modes of the TVS1, it is a far more workable approach than negotiating multiple panels would have been, especially as iSEM's controls are rather too small for comfort. 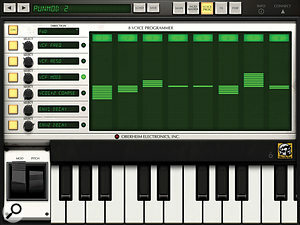 Happily, the app is Core MIDI compatible and, rather than use the on-screen knobs, I assigned the bulk of them to my controller keyboard from which I played and programmed iSEM exclusively. Those who prefer to play now and program later can take comfort in the hundreds of factory sounds from a selection of seasoned programmers. 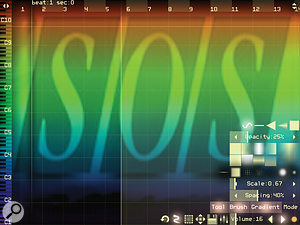 Arturia's iSEM oscillators are terrific. They're full-bodied and satisfying even before you resort to the (largely unnecessary) sub oscillator. If you rest a finger on an oscillator's frequency control a fine-tune appears, which is a little clumsy but you get used to it. Turning to the filter, there's a pleasing fuzziness as it sweeps seamlessly from low-pass through to high-pass mode, and though it never quite sizzles with the presence of the real thing, it's pretty good all the same. The band-pass mode also sparked the right kind of memories and my only complaint is that, without the physical switch of the original, it's all too easy to slip from low-pass to band-pass mode unexpectedly. 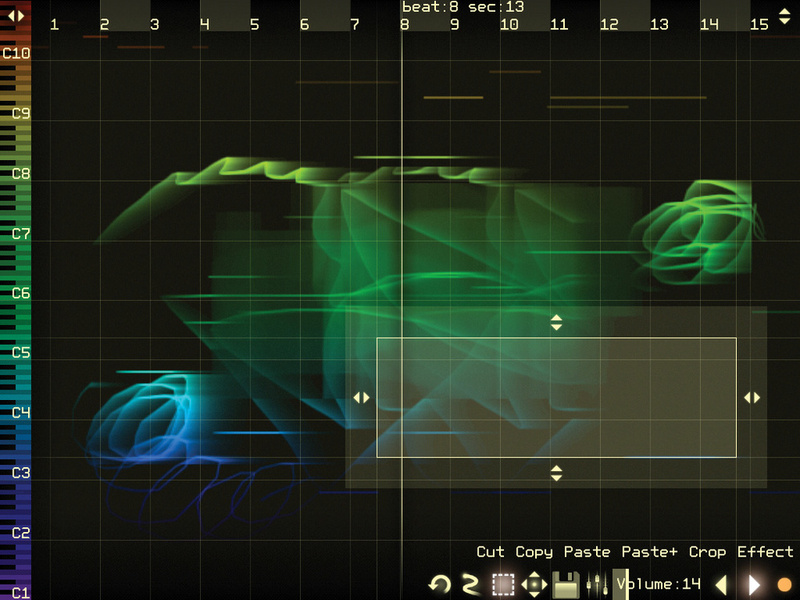 However, I shouldn't nitpick because this is one of the better iPad synth filters. I almost daren't mention the envelopes though. They have the same shared decay and release as a SEM, but after that we're in 'digital giveaway' territory. 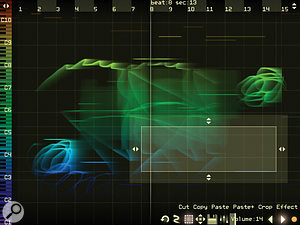 It could be that the term True Analogue Emulation applies mainly to oscillators and filters, but in the circuitry of analogue envelopes, the voltage is not automatically discharged by iSEM's Voice Programmer is an effective technique for imitating the variations between voices on a polyphonic SEM system. every gate as it is here. That said, I realise only a few bleary-eyed hippies are going to be inconvenienced by this lack of 'residual voltage' since it's most evident in monophonic patches with long attacks and releases. Instead of Oberheim's endearing mini sequencer (with its highly useful sample & hold circuitry), the iSEM has a neat arpeggiator with a choice of directions, including random. When combined with the Voice Programmer, I doubt any sequencer fan will be disappointed by the options. 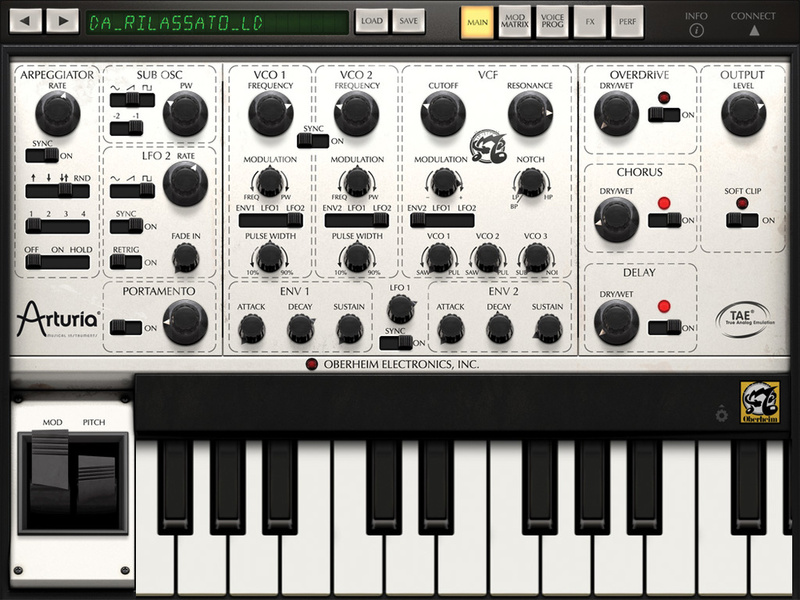 More new features have been added, such as an extra LFO global to all voices. In the modulation matrix up to eight sources can be mapped to different destinations and it's lovely to coax iSEM into performing tricks the real deal never could, such as routing an envelope to modulate the filter mode or getting velocity to change LFO speed. Strangely, the matrix offers no connection between key position and filter cutoff. Perhaps accepting that the knobs could be larger, Arturia have provided a performance screen with four finger-friendly sliders ready to do your bidding. Finally, in a last flourish, the effects section adds overdrive, delay and chorus. If they aren't enough, iSEM is Audiobus compatible for further processing and inter-app recording. Interfaces for iOS devices (iPads, iPhones, iPod Touches) have been with us almost as long as the devices themselves. Unlike iOS devices, whose focus is 'one device, many functions', manufacturers releasing interfaces designed specifically The iRig Pro: the combi jack/XLR to the right shows you just how small it is. for mobile use have tended to focus on a 'one device, one function' approach. For musicians on the move this can prove frustrating as no single portable interface could cover all eventualities (guitar input, mic input, MIDI input), so necessitating the plugging in and unplugging of interfaces when a change of function is required. IK Multimedia have endeavoured to change that approach with the iRig Pro, bringing us an interface that is as portable as an iOS device itself, yet which allows for a range of connectivity. Indeed, the iRig Pro manages to squeeze a combined XLR and quarter-inch jack input, a 3.5mm MIDI input, a phantom power switch, a proper gain control and a multi-function LED input level indicator into just 32 x 105 x 21 mm of space. The iRig Pro is supplied with a useful range of cables. These include a MIDI five-pin-to-minijack lead, and lightning, 30-pin and USB cables to connect to it to an iOS device or Mac (did I mention it was Mac compatible? Well it is). None of these feature generic plug types at the iRig Pro end, so woe betide you if you forget to take them to the gig! The iRig Pro is powered by the device it is connected to for everything except phantom power, which requires you to fit a 9V battery (supplied). IK Multimedia generously bundle quite a lot of software with the iRig Pro. Users of iOS get SampleTank Free, VocaLive Free, AmpliTube Free and iGrand Piano Free, which doesn't sound Hit ANS's play key to hear the result of random doodles combined with notes entered from a MIDI keyboard. that generous, but each one comes with extra content (amp models for AmpliTube, for example) over and above that which you normally get with the free apps. Mac users can take advantage of AmpliTube Metal, SampleTank XT and T-RackS Classic mixing and mastering suite, with four classic effects processors. Despite a relatively cheap and plasticky feel, connections to the Pro unit feel reliable enough — although possibly the minijack MIDI input might start to degrade (like a headphone socket) after a large number of plugging ins and outs. The gain control is certainly an improvement on the thumbwheel found on comparable devices such as the iRig HD and the Apogee Jam. In terms of sound quality, I suspect that the iRig HD circuitry has been re-utilised in the iRig Pro, as sound quality is equally as good, with low background noise. 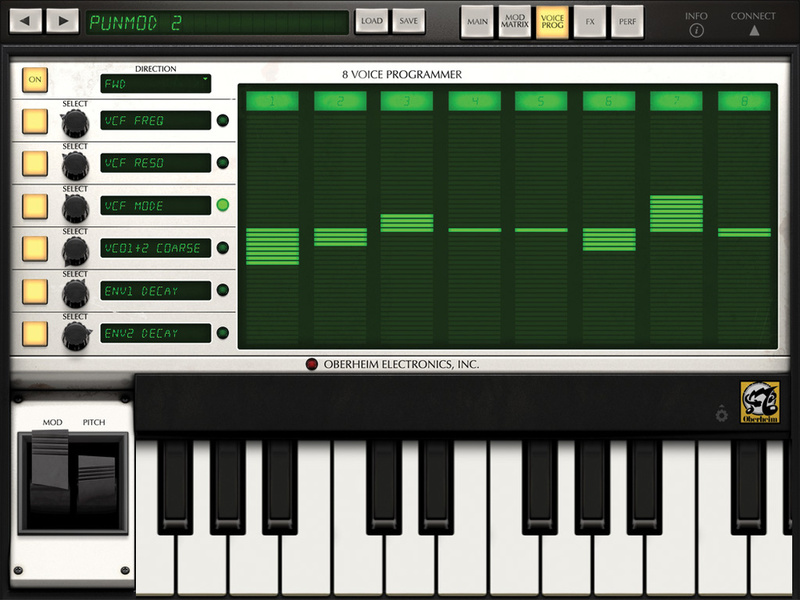 Virtual ANS is a software simulation of a remarkable Russian synthesizer created by engineer Evgeny Murzin over a 20-year period from the late 1930s. The synth was named to honour Russian composer Alexander Nikolayevich Scriabin and there's only one in existence, but if you've ever seen the Russian sci-fi movie Solaris, you may already be familiar with its weird and other-worldly tones. 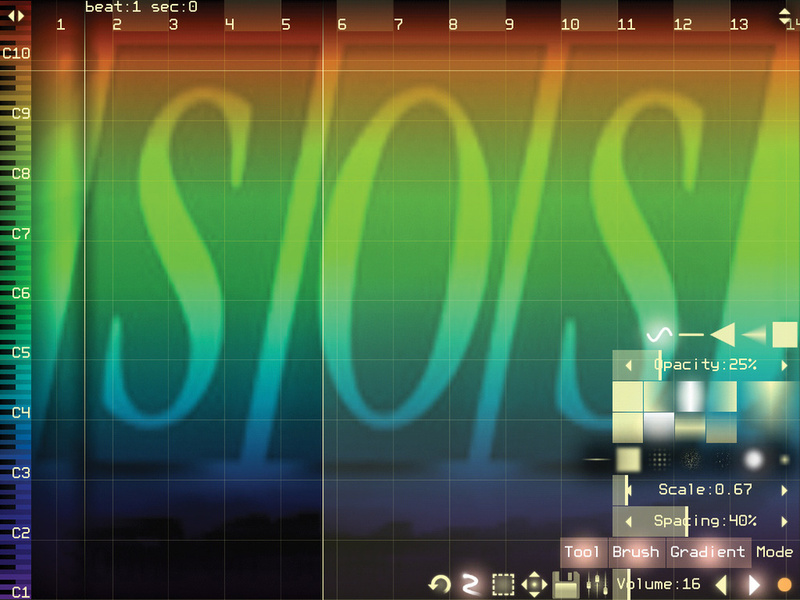 ANS has enough graphical tools to design a wide variety of shapes and, therefore, sonic textures.This is not a conventional iPad synthesizer. True, it can be played from a keyboard, but its real strength is in generating some of the most atmospheric drones and spooky shifting textures you'll encounter sans hallucinogenics. It's also available for Windows, Linux, OS X and Android, but the interface is perfectly suited to a tablet and performance was fine on my iPad 2. It turns the idea of representing a sound graphically on its head. Sound is synthesized from a drawn 'sonogram' scanned forwards or backwards, or from an audio recording or an imported image or Wav. In the original machine a glass plate covered in black mastic was scratched to create images. 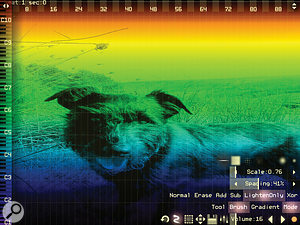 Virtual ANS goes way beyond mere scratchings, utilising an array of tools comparable to those of a graphical photo editor. And where the original generated up to 720 simultaneous microtones spread over 10 octaves, Virtual ANS easily exceeds this number. The only limits are those imposed by your hardware. When creating a new project, it's vital to set an image resolution your machine can handle. The more pixels you draft in, the more likely it is that lowly iPads will struggle. Fortunately there are tips online, including a suggestion of a 'normal' number of pixels and ideal sampling rate for an iPad 1. This is especially relevant when importing existing images via the Wi-Fi Export/Import option (or iTunes). 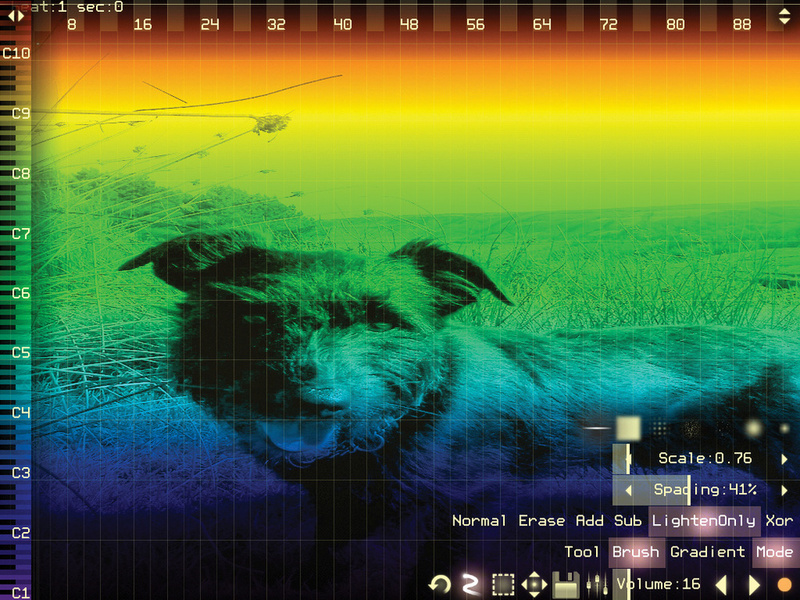 Imported audio, when rendered, is often almost unrecognisable, which is a major part of its charm. Budding artists will quickly realise that the brush shape defines the way tones are painted and therefore heard. The scrolling tone generator can produce dense clusters of harmonics and cones of fuzzy microtones alongside sharper, brighter lines that cut through sonically. With a few swirls of my finger I was reminded of the alien harmonic textures created by another rare and wonderful instrument, the Dewantron Swarmatron. If you start with a blank canvas and draw a single vertical line across the 10-octave keyboard, every tone will play simultaneously at that point. Touching either transport key It's easy to get carried away with this importing lark. results in ANS playing forwards or backwards and I was pleased to learn variable loop points and ping-pong looping are under consideration for the future. If you touch the beat markers at the top of the interface, playback leaps directly to that point. Similarly, you can play the on-screen keyboard with a finger or plug in a MIDI keyboard via the camera kit. I experienced occasional hanging notes doing this but not enough to put me off building up ethereal musical loops.